Animal suffering is never pretty, and never more so than when animals are subjected to pain and even death simply to test new lipstick and shampoo for the beauty industry. It's a sad fact that even in the 21st century we are still subjecting rabbits to painful eye tests, guinea pigs to distressing skin tests and rodents to often lethal oral toxicity tests in which they are force-fed mega-doses of cosmetic chemicals. You won't see their suffering on the glossy advertisements or packaging, but behind every 'new ingredient' used in a cosmetic or personal care product, lurks animal testing. 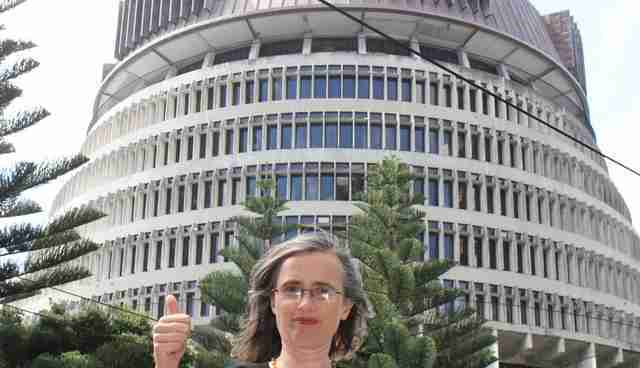 It's an issue that policy makers in New Zealand are debating right now. Following a two-year campaign by Humane Society International's #BeCrueltyFree campaign, alongside New Zealand groups such as SAFE, NZAVS and HUHA, Parliament will soon vote on a proposal to amend the country's Animal Welfare Act with a nationwide ban on cosmetics animal testing. The ban has huge public support, with more than 100,000 people so far signing our #BeCrueltyFree pledges and e-cards, and opinion polls showing that 89.2 percent of Kiwis want to see a ban in place. New Zealand's Cosmetic Toiletry and Fragrance Association has also explicitly endorsed a ban, saying it would send a clear message to the rest of the world that New Zealand's cosmetics are cruelty-free. Last year more than 30 cosmetics companies joined us in writing to Prime Minister John Key urging him to support a ban because it's good for business, the cruelty-free market is booming and in any case, animal tests are outdated and unnecessary. Banning animal testing of cosmetics in a win-win for everybody. So what's the catch? Well, in reality there isn't one, but the New Zealand Government is dragging its feet nonetheless. It claims that cosmetics animal testing no longer takes place in the country because New Zealand's licensing system wouldn't permit it. But that claim simply isn't verifiable. New Zealand doesn't have a transparent reporting system for the tests it allows. 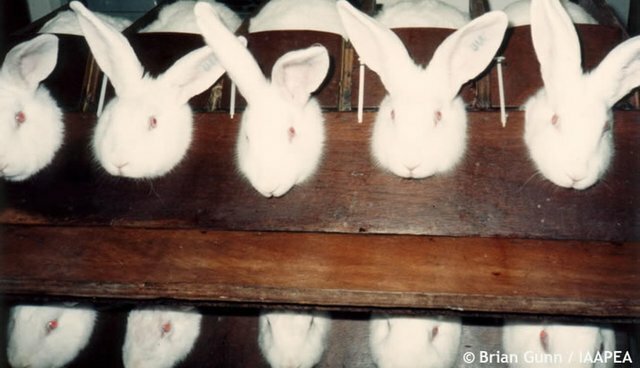 While the numbers are likely to be on the low side, it's highly doubtful that no cosmetics testing takes place at all. But the real issue is that without a clear ban in place, there is always the risk that cosmetics animal testing could increase in the future. In fact, for as long as countries like New Zealand rely on licensing committees to decide on a case by case basis whether or not to permit animal tests for cosmetics, that risk remains very real. Cosmetics animal testing is a global problem. The beauty industry is multi-national and so must be the solution to stop the suffering. Every country must play its part in eradicating cosmetics cruelty, whether it's a handful of animals or hundreds who are suffering for beauty in its laboratories. The 28 countries of the Europe Union, as well as Norway, Israel and India have all banned cosmetics animal testing and the trade in cruel cosmetics, and every country that follows suit sends a clear message worldwide that testing make-up on animals is unacceptable. That's vital conceptually but also practically - as more and more countries ban this cruel practice, some companies will look to shift their animal testing to countries where there is no ban, countries like New Zealand. As New Zealand's politicians consider whether or not to support the ban, please join us and let them know that you want New Zealand to #BeCrueltyFree. Sign our e-card today asking then to vote for Supplementary Order Paper 044 (SOP 044).